【UNIVERSAL COMPATIBILITY】 Lamicall magnetic phone mount compatible with iPhone 7 / 7S, iPhone 6s / 6 Plus / 6 / 5s / 5 / 5c, Samsung, HTC, LG, etc, also suitable for mini tablets. 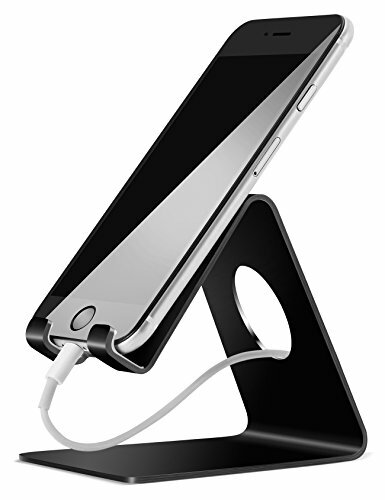 【STRONG MAGNETIC& STURDY BASE】 The powerful magnet on the car phone holder stick your cell phone firmly to the air vent and provides great stability. The base of the magnetic car mount so sturdy to keep your devices in place, regardless of road vibrations or impacts. 【360 ROTATION & RUBBER PROTECTION】 360 degree rotation allows you to rotate any angle you desired. The rubber increase grip and keep your air vent and devices from scratch. 【SAFE DRIVING & POCKET-SIZE】 Hands-free and giving you a enjoyable and safer driving. Pocket-size design and occupy little space. 【ATTENTION PLEASE】 The car phone holder are only suitable for vertical and horizontal air vents. 24 hours Customer Service. Any question, please feel free to contact us.